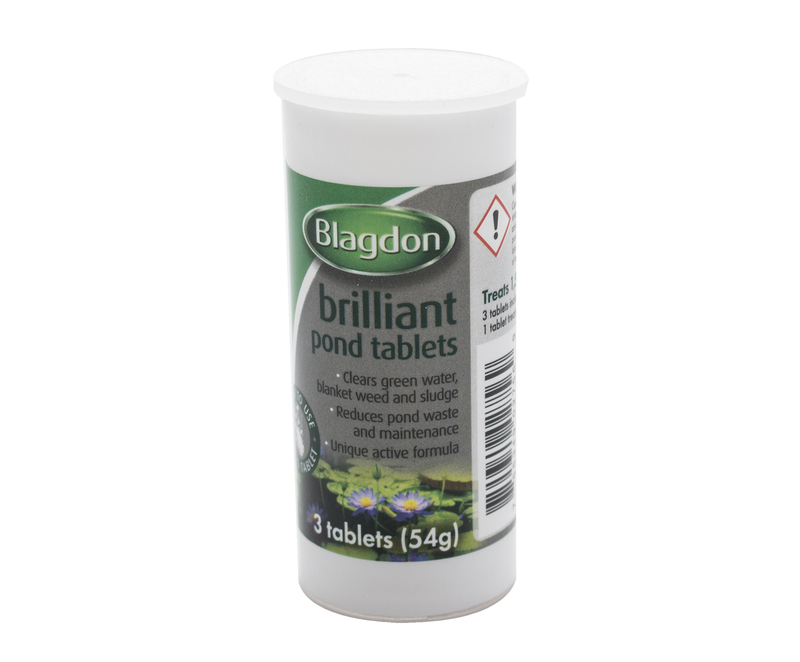 Add 1 x 25ml measure for every 227 litres (50 gals) of pond water. 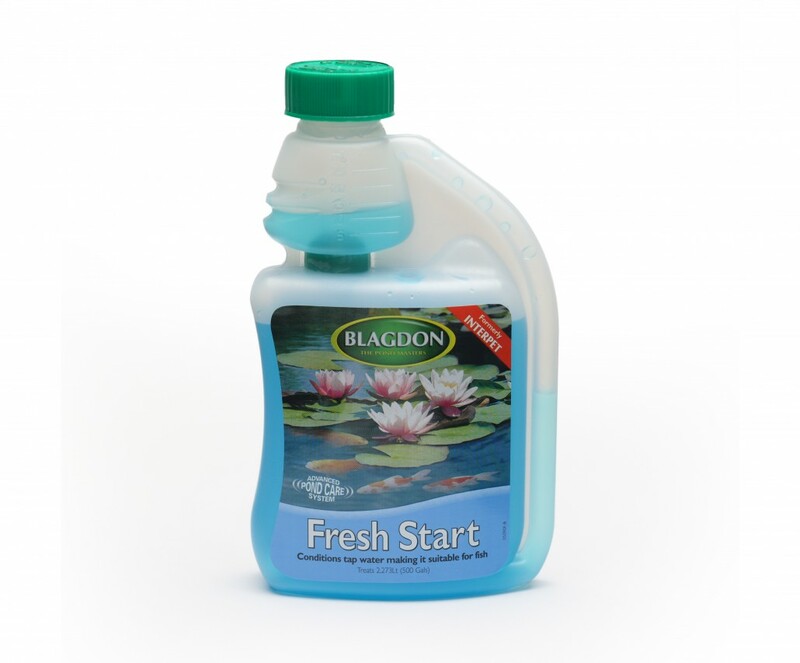 When carrying out a water change or top up we recommend adding Fresh Start to a bucket of water and then distribute this evenly over the ponds surface before adding the tap water. 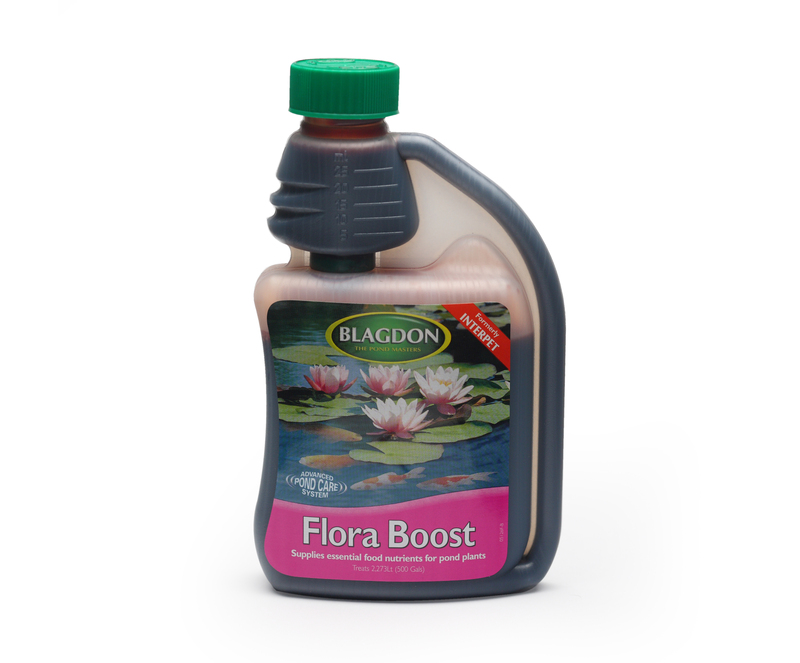 When filling up a new pond, add the require amount of Fresh Start to the pond first, then add tap water. 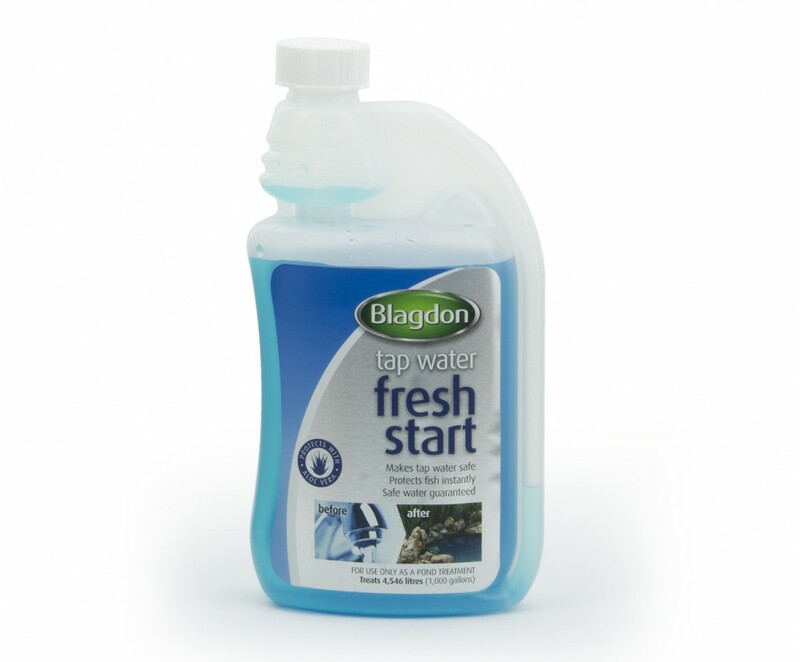 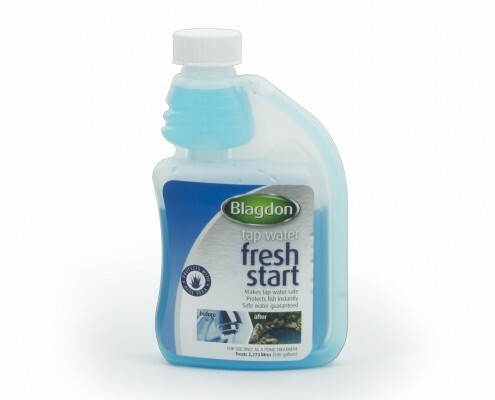 Fresh Start acts instantly and makes the tap water safe for fish, we recommend that you monitor the toxic waste build up in a new pond with a test kit and add Biostart to speed up the process of maturing the pond. 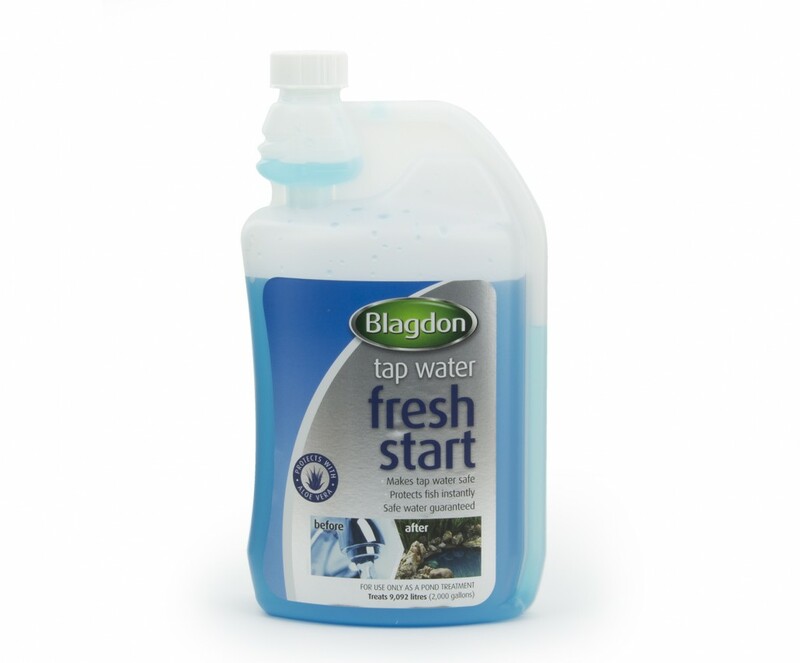 Tap Water Fresh Start is harmless to filters and all species of pond fish, plants and water using wildlife.